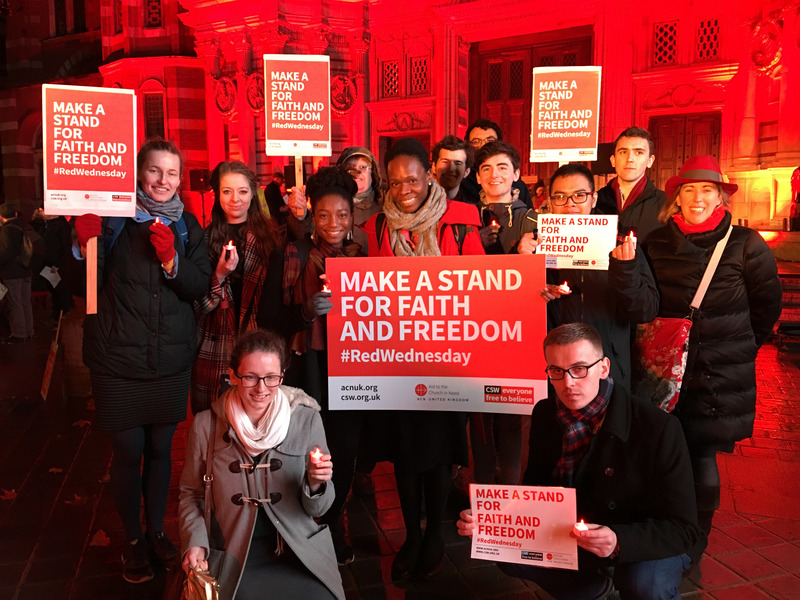 People all across the UK took part in yesterday’s #RedWednesday – with cathedrals, churches, schools, colleges and universities all “seeing red” as part of a campaign to stop religious persecution. The initiative, organised by Catholic charity Aid to the Church in Need in association with CSW (Christian Solidarity Worldwide), shines a light on oppression of people of all faiths and calls for action to protect those who suffer for their faith. In London, iconic buildings and landmarks including Marble Arch, Lambeth Palace and the Houses of Parliament were all flood-lit red as people braved a downpour and joined a candle-light procession to Westminster Cathedral. In front of the cathedral façade, emblazoned in red, Sheikh Ibrahim Mogra, Assistant Secretary General of Muslim Council of Great Britain, spoke out against persecution by Muslim extremists. 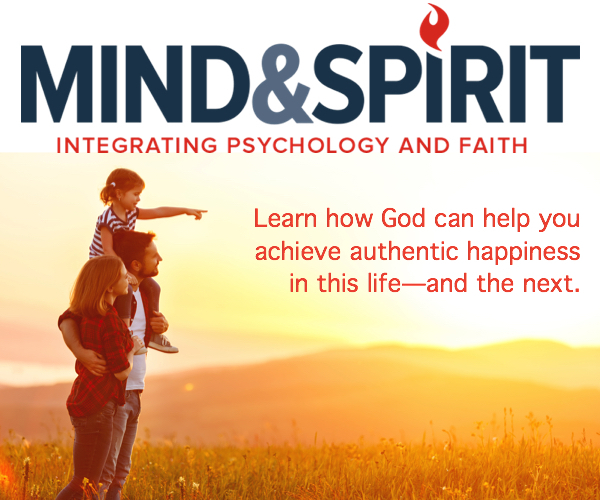 During a live video link with Aleppo, people in the cathedral piazza came face to face with Antoine, a Christian man from Aleppo supported by ACN who described how he was held by Daesh (ISIS) for 62 days before making a miraculous escape. Earlier that day, the #RedWednesday red bus had criss-crossed the streets of London, starting at Southwark Cathedral, and stopping at St George’s Cathedral, Southwark, St Paul’s Cathedral, All Souls, Langham Place, St Martin-in-the-Fields, Trafalgar Square before winding up at Parliament Square where a gathering took place with speeches and an opportunity for people to meet Parliamentarians. Cathedrals across the UK floodlit red including St Chad’s Cathedral, Birmingham, Norwich Cathedral, Portsmouth Cathedral and Wrexham Cathedral. In Scotland, St Mirin’s Catholic Cathedral, Paisley, Scotland went red, and in the Scottish Parliament there was a #RedWednesday event including a presentation of ACN’s Religious Freedom in the World 2018 Report. ACN’s Head of Fundraising and Marketing, Patricia Hatton said: “Our thanks to all those who came out in the rain yesterday for this the third year of the #RedWednesday campaign. Other countries participating in #RedWednesday included France where the Grand Mosque of Paris and the Great Synagogue of Paris went red, as did the Rialto Bridge, in Italy, Venice. In the Philippines, 47 cathedrals and 29 basilicas were also floodlit red.